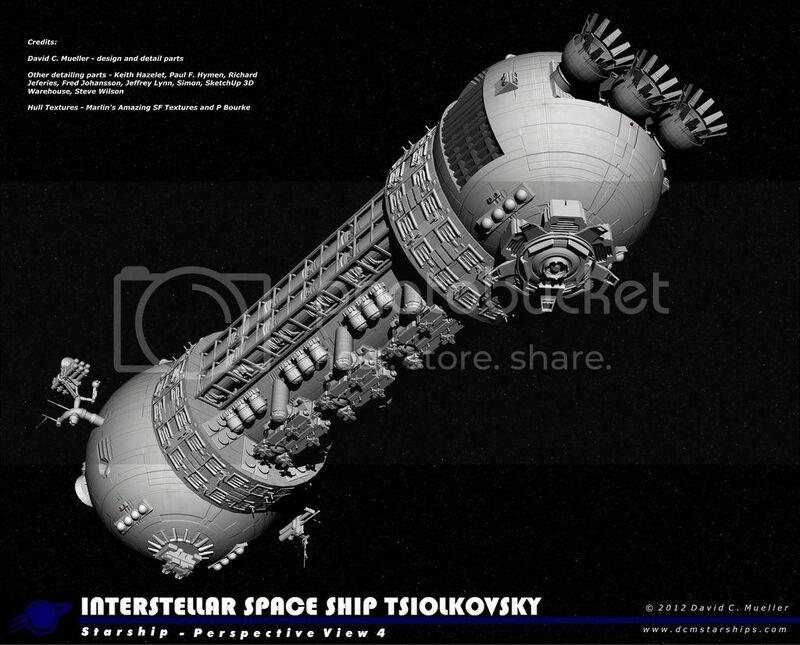 Hi there, welcome to the Basic Game Info page for the Monsterhearts play-by-post game setting of ISS Tsiolkovsky. 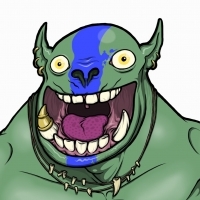 I'm Rich aka orklord, the MC for this campaign. This is my first time MCing Monsterhearts, I've only played it previously. If you have concerns or suggestions, feel free to share them! It's our game, after all. Q: What is Play-by-Forum (PbF) [A.K.A. Play-by-Post (PbP)]? A: Play-by-Forum is a style of playing a role-playing game, or certain other types of games, on message board forums where the GM and Players alternate posting actions and events. Q: It seems like a PbF is a little slow. A: PbF can go fairly slow at times, especially if players aren't able to post for a few days. Try to stick to the GMs minimum post requirements and be sure to notify your GM if you won't be able to post within those requirements for any reason. Though slower, PbF games have a tendency towards much more depth in role-playing. As GMs and players are not pressured to convey large amounts of information in compressed time. Details and flavor can be added to each post with time. Also, rules referencing is much less a detraction from the game as everyone involved can take a few moments to look something up between posts. Now this is me talking. It's rambling, sorry. Where do I put my Character? I'd like for each of you to create a thread for your PC. It's your own space, spruce it up how ya like. If you don't know how, check out the PC threads from other games, use the "quote" feature to see the code behind it and STEAL, STEAL, STEAL. Okay, how do I "play"? I do my best to emulate a face-to-face game. We have a Google chat going for schedule updates, rules questions and the like. Let's keep the live threads filled with the game. Say what you do. I'll ask you questions, lay out scenes and you answer and say what you intend to do or what is going on in your head. If I see a move, I'll tell you to roll (either in chat or in thread). For most situations, I prefer to role-play or portray NPCs in the fiction. I'm okay if you describe some flavor of their reaction in a post for your PC, perhaps a look, or a gesture, something that just gives focus to your actions / intentions. However, I would rather handle the rest. I like writing characters and dialog, I like expressing my thoughts on the world and our setting through them. This is a big part of my fun. Please don't take that away from me. If you feel strongly about this, let me know privately and we can talk about it. The exception to this is NPCs that are "bought and paid for", meaning your gang, your crew, your helpers, NPCs that come from a Move or an Advance. Those I am more comfy giving some leeway. They're somewhat an extension of your PC, so some light conversation or reaction from them will be cues to me for how you see them in your "penumbra", so to speak. Whoah, wait a second, Rich.... Monsterhearts doesn't give me this much narrative authority, does it? Okay, sometimes I'll ask you to answer questions outside your character's skin. I love the First Session world-building aspect of Apocalypse World and I plan to do this in Monsterhearts as well, and continue doing it after first session. I am in love with the "Mountain Witch trick". I use it like a crack fiend. As a player, I prefer writing in first person, it’s fun to “get in the head” of my PC. For this game, unless a question is phrased in the past tense, or there’s another reason in the fiction to do so, please keep it first person and present tense. You’ll like it, I promise! Since we're posting frequently, I'd say a paragraph or so, a bit more if its juicy content. Wait, Scott puts all his dialog in bold? WTF? Scott likes to bold his dialog because its easier for a skim. I copy him because he's smart. Okay, but really, how do I roll dice? Then put in the die equation, which is simple for AW, just "2d6" and the modifier. So, it would be "2d6+1" or "2d6+2", like that. You end it with </roll>. No quote or spaces. Feel free to practice this once below. It's FUN! PRO TIP: the post where you roll dice should ONLY have the die rolling info. If you go back to edit anything in that post after the fact, a note will pop up stating that potential cheating has been detected and I will mock you mercilessly for a while. Okay, not really. But if I didn't see the die result before you edited, I willask you to roll again. The MC (me) starts scenes. I will open new threads for scenes. I like how in other games I've played that the scene thread lists the characters and what session/scene they're in. I will replicate that for this game, plus add in tags for the PCs involved. Scenes will have your PC's first initial in the suffix as well as the session and scene number. I often go with memorable or silly scene titles, they're just a shorthand to help me keep them straight. What if I want a specific scene? Any player can ask for a scene at any time. This is actually a good idea for times when player activity is out of sync and you want to keep going (as long as I can keep up). Ask for it in chat and I'll start up a scene with a new thread. How do we help each other? I'm going to allow players to Help AFTER the roll here. Players can ask before they hit the dice, if they wish. What if I'm not in a scene, but I have a cool idea for something to happen? Or, what if I am in a scene and I have a cool idea for something for the MC to do to another Player Character that my character wouldn't do? First of all, both situations are great! I welcome input and collaboration. Please share your idea or request in chat. I may ask questions, I may throw it into an active scene thread whole cloth, I may modify it. But I love the feedback and I will do my best to foster collaboration because this is *our* game, not *my* game. Dude, seriously, I’ve been waiting FOREVER!!!! There could be a time or two when you’re waiting for a response from me, or from a PC, and it’s been a day with no response and the other person is supposed to be around. Go ahead and drop a question in our Chat. Be nice, we’re all adults, we have jobs and friends/families. Real life trumps game time! I won’t be offended if you politely prod me. Sometimes I might’ve just misread something and didn’t realize I was holding up a scene. Other times, I might be busy, and I’ll apologize and rectify it ASAP. Sometimes (just sometimes, mind you), the muse might not have struck me and I’ll use the chance to ask for some help or ideas. Be nice, help out an MC, and we’ll get moving again. When does a "game session" end? This is important because Monsterhearts has mechanics for session ends. I will call end of session based on feel, taking into account how much real-life time has passed, how much game time has passed and how many events have occurred. If you feel a session has come to a natural end, please say so on the Chat, I will take it into account. How often do we play? The game is basically always live, which is for good or ill. I post with relative frequency, but without much consistency (meaning sometimes during weekdays if work is light, sometimes at night unless I have offline fun/responsibilities happening). My weekends are primarily for my family, so expect light posting then. If I am going to be offline for more than two days, I will note it in the Chat. I plan on running this for six or so months. It's almost March as we begin. We're shooting to be "done" by end September, and I’ll try to make that a satisfyingconclusion, but if at end of September, we (or merely some of "we") want to continue, we'll discuss it then. I find that "full" campaigns of Apocalypse Engine games on PBP run for about 7-9 game "sessions" and "sessions" often last a month, so we could be only halfway there as far as fiction. I’m sure we’ll still be going strong, but you’ll definitely have a chance to jump off the carousel in a satisfying way if you don’t want to continue. We're using the Crabby rules for this game. You can find them laid out nicely here. When you hold steady in a scary or tense situation, tell us the worst thing that could happen and roll with cold. - Pick an option from the 10 an up list and gain the Condition terrified. When you manipulate an NPC, roll with hot. On a 10 up: they’ll do what you want if you offer them a bribe, threat, or motive. On a 7-9: the MC will tell you what it’ll take to get them to do what you want. When you run away, roll with volatile. On a 10 up you get away to a safe place. When you gaze into the abyss, roll with dark. On a successful roll, it answers your questions and shows you visions. - The visions are lucid and detailed but they leave you with the Condition drained. - Offer experience to do what you want. When you spearhead the attack, roll with hot. On a 10 up, you score a goal, shifting the marker one toward your team’s victory. • On a 6 or less, your team is scattered and the other team seizes the opportunity to score on you, shifting the marker one toward their victory. When you play defensively and recycle possession, roll with cold. On a 10 up, slide the marker back to Game Start, and carry 1 forward on your next roll. • On a 7-9, you carry 1 forward on your next roll, and the opposing team carries -1 forward on their next roll. • On a 6 or less, the other team finds an opening in your defense, and carries 1 forward. When you put your body on the line to make a tackle or interception, roll with volatile. On a 10 up, you nail a player and they get taken out of the game, temporarily if unharmed or for the rest of the match if injured (your choice), but the ref doesn’t call any penalties. • On a 7-9, injuring them will get you taken out of the game. Your choice. • On a 6 or less, the other player is unharmed or more seriously injured than you intended, and you get a short stint in the penalty box. The other team carries 1 forward. When you rely on the dark arts, like time-wasting, sneaky fouls, diving, praying to Satan for a goal or hexing a rival player, roll with dark. On a 10 up, the dark forces come to your aid, and you choose one: a rival player is injured or sent off; a goal is scored, shifting the marker one toward your team’s victory. • On a 7-9, choose from the list above, but dark forces gain 2 Strings on you (which last after the game). • On a 6 or less, you have angered the dark forces, and they grant the rival team a favour: someone on the rival team gets to choose one of the 10 up options. How do I make a PC Banner? 1) Head on over to http://apo.calypti.ca/charman/ and start making characters. 2) click the "New Character" button. 4) Enter a character name. 6) Enter a link to the character's thumbnail/avatar. 8) Click the "Refresh" button under the "Character JSON" text box. 9) Copy all the text in the "Character JSON" text box. 10) Paste the "Character JSON" text into the "Enter a JSON array of characters" field. into the forum to have that character banner pop up. and clicking the "Edit Characters" link on the right sidebar. 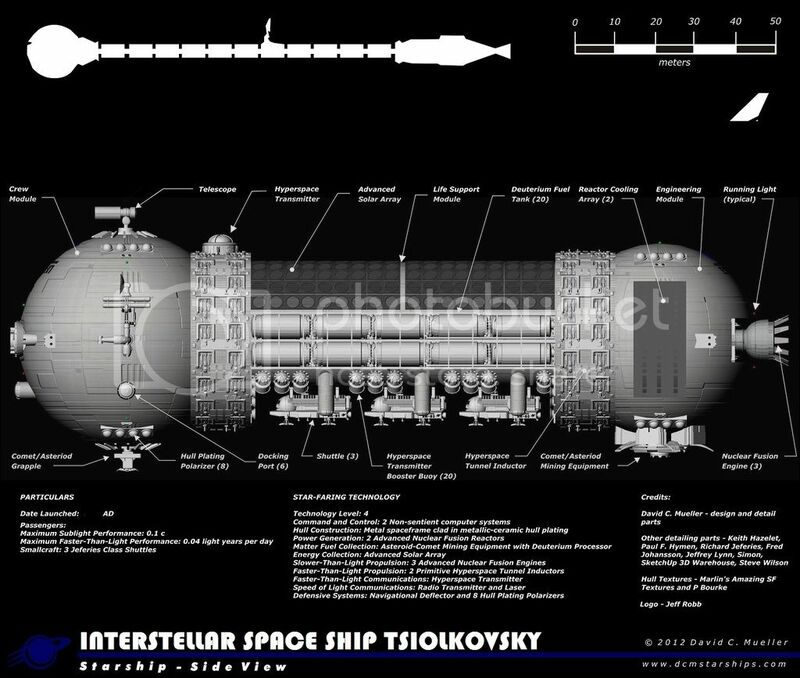 Alright, with the basic info out of the way, let's discuss the ISS Tsiolkovsky! This is a long-range colony "life" ship. The PCs are all teenagers, who are currently in quarantine like all other children below the age of eighteen. The ship's population was devastated by an airborne disease, young adults were the primary carriers. As a result, the PCs have been quarantined for several years now. When a teenager reaches the age of eighteen, they are tested for the disease. If they are not a carrier, they are allowed into the adult population. If they fail the test, they are not seen again. The interstellar path of the ISS Tsiolkovsky follows an astrogation chart that was plotted ahead of time. 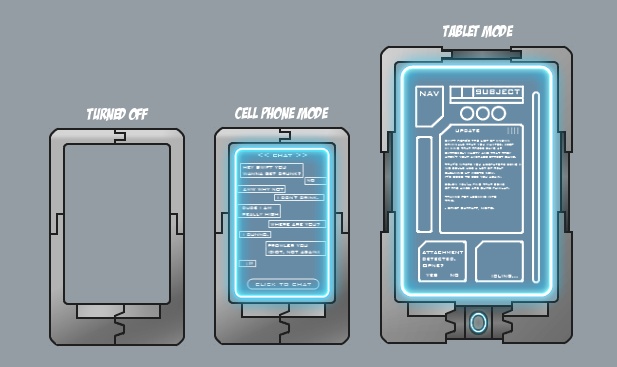 Using a sophisticated FTL travel that the human body cannot withstand, the Collective sent a series of beacons ahead of the course. The intent was to allow communication back with the origination solar system. Due to unexpected communication barriers, there are gaps in the beacons where there communication is impossible. As a result, there is always an anxious expectation when the ship comes close enough to the next beacon to resume communication. Some of the kids call that re-connection point Beacon Day. A sexually transmitted disease (STD) that occasionally runs through the ship, more prevalent in the student sector. Used as a boogeyman for prevention of copulation. C-down causes nerve damage and hallucinations. When you take a hit from Tramahex, you're Gazing into the Abyss. Roll it with a +2 Forward on the first hit. On the second hit, it's a +1 Forward. On the third, there is no bonus to your roll. And surprise, the fourth hit is a -1 Forward. And so on, capping at -3 Forward. When you merge with an unliving entity for an extended period, roll with dark. On a hit, you keep yourself together and choose options. On a 7-9, choose one. On a 10+, choose two. On a miss, you lose a piece of yourself to the entity. Describe one memory to the MC. It's theirs now. They will give you one of their own. When Zeke turns on the Charm to get something he wants, roll to Hold Steady to resist his charms. On a 10+, you're a wily thing! You resist him, and get a +1 Forward on him from the exchange. On a 7-9, you give him something, but you intrigue him a little, so take a String on him. On a failure, well, you blurt it out, and he gets a String on you, too. When you let Gwen inside, roll with Dark. On a hit, she's in. On a 10+, you can take back over whenever you want, share, watch, whatever. On a 7-9, you're out, pushed into that space she came from. If you wish to open your dreams for a psychic to enter roll with Dark. On a hit, they can enter, if they wish. On a 10+, you control what they see.